Steve’s breakdown: HomeSense is the brand. It already exists in Europe and Canada but the U.S. concept will be different from those stores, with a greater depth of merchandise in certain categories. 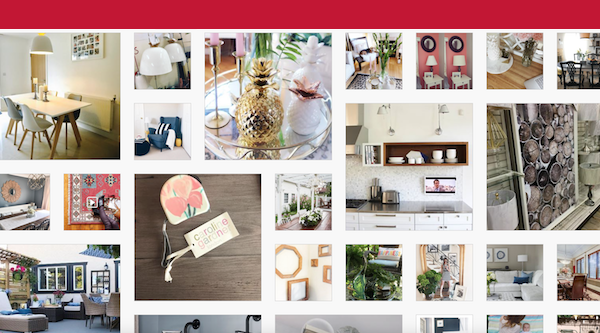 kbs+ handles creative for some of TJX’s other brands but it has not been awarded HomeSense. You should probably move fast on this one. FRAMINGHAM, MA: The TJX Companies will debut a new, off-price home store concept in August. HomeSense will open its initial U.S. location on August 17, in Framingham, Mass. Three additional stores are planned by the end of 2017, with locations in East Hanover, N.J., Ocean Township, N.J., and Westwood, Mass. The HomeSense banner is not new for TJX, which operates stores under that name in Europe and Canada. However, the HomeSense U.S. concept will be different from those stores, with a greater depth of merchandise in certain categories. HomeSense will offer a shopping experience that complements its sister chain, HomeGoods, TJX said, with expanded selections of large-scale furniture, lighting fixtures and art. It will also feature a “general store” department. HomeGoods, by comparision, skews more heavily to decor. Also, unlike HomeGood’s no-frills approach to display and layout, HomeSense stores will put more of an emphasis on ambience and will showcase products in styled vignettes with an eye to inspriring shoppers. *It will offer a broad assortment of furniture items, such as oversized upholstery, sectionals and sofas, futons and day beds, as well as leather furniture and expanded at-home workplace essentials, such as desks, and filing cabinets. *Accent décor will be “conceptually displayed.” A variety of hanging chandeliers and brightly lit lamps, for example, will be displayed individually in dedicated cubbies so that shoppers can picture how the items would look in their own home. A chair gallery will feature everything from dining chairs to bar stools as well as pillows, poufs and ottomans of different sizes and shapes. *Expansive displays of art will be mounted for gallery-style shopping. Free-standing fixtures and oversized easels will complement the in-store gallery wall and help customers visualize how the items could fit in their spaces. *Entertaining options for holidays and other special occasions will be emphasized. This could include bar and game room furniture, such as card tables and pool tables, and an expanded selection of gifting items and wrapping essentials. *The general store area will be dedicated to organization, cleaning and home improvement. As of April 29, 2017, TJX operated over 3,800 stores including TJ Maxx, Marshalls, HomeGoods and Sierra Trading Post stores in the United States; Winners, HomeSense and Marshalls stores in Canada; TK Maxx and Homesense stores; and TK Maxx stores in Australia.